The Challenged Athletes Foundation (CAF) will cap off its year-long 25th anniversary celebration in memorable fashion with its largest annual grant distribution in history. 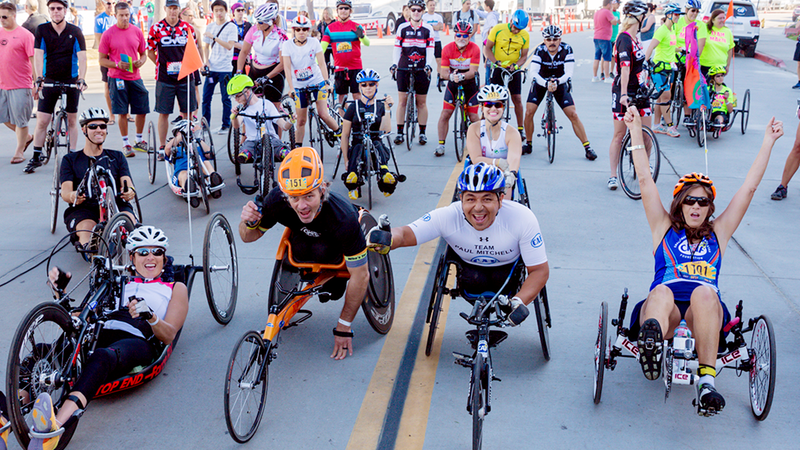 CAF will make 3,260 individual grants to provide more support for adaptive sports equipment, training and competition expenses to individuals with physical challenges of all ages and levels. More than US$4.8 million in funding will be awarded to athletes from all 50 US states and 42 countries across 103 different sports and activities. “This 2019 grant distribution is a major milestone for the foundation and for all our athletes, supporters and friends, without whom we could not have established this incredible community that has positively impacted so many lives,” said CAF Chief Executive Director Virginia Tinley. CAF’s programs include funding grants for adaptive sports equipment, training and competition expenses, camps + clinics, Operation Rebound (for injured veterans and first responders) and mentorship opportunities. The heroes of sport in this year’s historic grant distribution represent 103 different sports and activities including track & field, adaptive fitness training, blind surfing, wheelchair rugby, equestrian, sled hockey and more. Through the generosity of partners such as Össur, YMCA, Vesco Metal Craft, Box Wheelchairs, Top End, Melrose Wheelchairs, J & L Pie Company and Eagle Sportschairs – CAF is able to provide support, products, and services to grant recipients.